So what is 1031? Broadly stated, a 1031 exchange (also called a like-kind exchange or a Starker) is a swap of one business or investment asset for another. Although most swaps are taxable as sales, if you come within 1031 Exchange, you’ll either have no tax or limited tax due at the time of the exchange. In effect, you can change the form of your investment without (as the IRS sees it) cashing out or recognizing a capital gain. That allows your investment to continue to grow tax deferred. There’s no limit on how many times or how frequently you can do a 1031 Exchange. You can roll over the gain from one piece of investment real estate to another to another and another. Although you may have a profit on each swap, you avoid tax until you actually sell for cash many years later. Then you’ll hopefully pay only one tax, and that at a long-term capital gain rate (currently 15%). Warning: Special rules apply when depreciable property is exchanged in a 1031 Exchange. It can trigger gain known as “depreciation recapture” that is taxed as ordinary income. In general, if you swap one building for another building, or one machine for another machine, you can avoid this recapture. But if you exchange improved land with a building for unimproved land without a building, the depreciation you’ve previously claimed on the building will be recaptured as ordinary income. Such complications are why you need professional help when you’re doing a 1031 Exchange. Still, if you’re considering a 1031 Exchanges–or just curious–here are 10 things you should know. 1. A 1031 Exchange isn’t for personal use. The provision is only for investment and business property, so you can’t swap your primary residence for another home. There are ways you can use a 1031 Exchange for swapping vacation homes, but this loophole is much narrower than it used to be. For more details, see No. 10. There are two key timing rules you must observe in a delayed exchange. The first relates to the designation of replacement property. Once the sale of your property occurs, the intermediary will receive the cash. 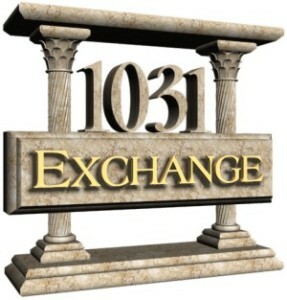 You can’t receive the cash or it will spoil the 1031 Exchange treatment. Also, within 45 days of the sale of your property you must designate replacement property in writing to the intermediary, specifying the property you want to acquire. 10. Using 1031 Exchange for a vacation house is tricky. You can sell your primary residence and, combined with your spouse, shield $500,000 in capital gain, so long as you’ve lived there for two years out of the past five. But this break isn’t available for your second or vacation home. You might have heard tales of taxpayers who used a 1031 Exchange to swap one vacation home for another, perhaps even for a house where they want to retire. The 1031 Exchange delayed any recognition of gain. Later they moved into the new property, made it their primary residence and eventually planned to use the $500,000 capital gain exclusion. If you want to use the property you swapped for as your new second or even primary home, you can’t move in right away. In 2008 the IRS set forth a safe harbor rule under which it said it would not challenge whether a replacement dwelling qualified as investment property for purposes of a 1031 Exchange. To meet that safe harbor, in each of the two 12-month periods immediately after the exchange: (1) you must rent the dwelling unit to another person for a fair rental for 14 days or more; and (2) your own personal use of the dwelling unit cannot exceed the greater of 14 days or 10% of the number of days during the 12-month period that the dwelling unit is rented at a fair rental. Moreover, after successfully swapping one vacation/investment property for another, you can’t immediately convert it to your primary home and take advantage of the $500,000 exclusion. Before the law was changed in 2004 an investor might transfer one rental property in a 1031 exchange for another rental property, rent out the new rental property for a period of time, move into the property for a few years and then sell it, taking advantage of exclusion of gain from the sale of a principal residence. Now, if you acquire property in the 1031 exchange and later attempt to sell that property as your principal residence, the exclusion will not apply during the five-year period beginning with the date the property was acquired in the 1031 Exchange like-kind exchange. In other words, you’ll have to wait a lot longer to use the primary residence capital gains tax break.